…Driving along the dramatic coastline and rolling hills of Dumfries & Galloway in a Triumph Herald convertible or Morris Minor. It’s a charming way to discover villages and attractions as you take in the breathtaking scenery of this area of outstanding natural beauty. In one of our vehicles, the journey to your destination is all part of the fun. And to make the most of your road trip, we’re on hand to suggest travel itineraries based on your interests. This means that whatever you love to do, you can be sure to see the highlights that this gorgeous area has to offer. Want to venture further afield? You have the freedom of the open road – the possibilities are endless! Our vehicles can be hired for a day, a short break, or a holiday of a week or more. 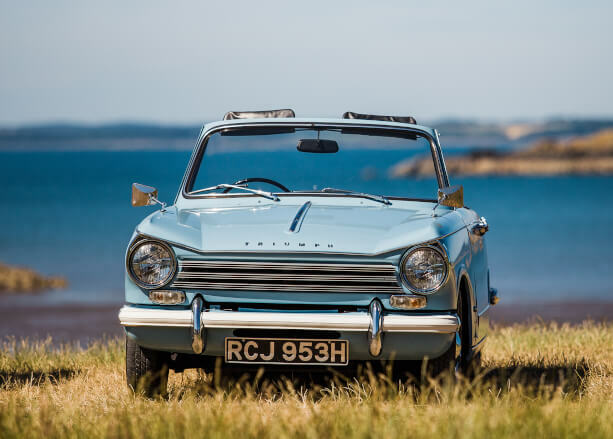 To find out, for yourself what it is like to drive the roads of Dumfries and Galloway, have a look at Fiona Outdoor’s experience of driving the South West Coastal 300, in our Triumph Herald. Looking for a special gift? 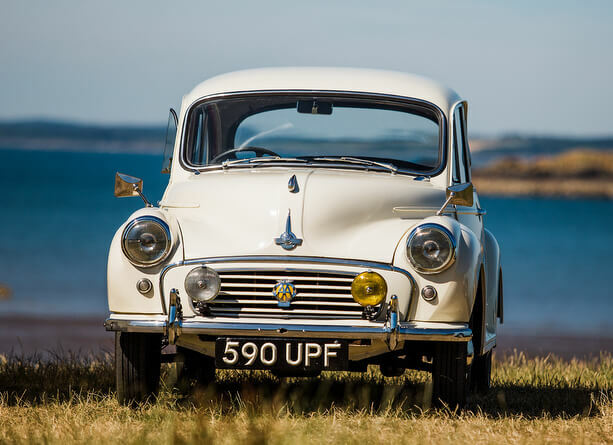 Classic car hire is a wonderful way to celebrate a birthday or anniversary. Personalised gift vouchers are available to make your gift extra special. We have Bluebelle, a lovingly restored Triumph Herald convertible who has starred in many a TV program and music video. Then there’s Snowdrop, a Morris Minor who is full of charm with original features and a gorgeous burgundy leather interior. 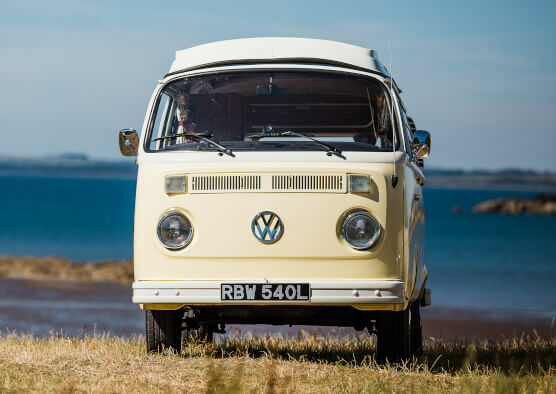 And if you’re looking for a longer hire, we have VW Campervan Daisy, who is available for weekends, midweek breaks and weekly breaks.